Chainsaw Type - What's The Best Choice? Choosing the right chainsaw type for the job is important. Today, manufacturers offer a variety of different models to choose from. Chainsaws are available in three basic models. Cordless which utilizes a battery for power, electric which requires the use of electrical cords and gasoline which are more powerful but require more maintenance and they create more noise. The model of chainsaw you choose ultimately depends on what you plan on using it for. For example, if you plan on cutting enough wood to heat your house a gasoline model would be your best option. However, if you only plan on cutting a few stray branches or limbs around your yard a battery powered saw or electric model would be sufficient. Before you rush out and buy a chainsaw, let's look into each specific type to see which one is best for you. A cordless chainsaw is a portable, battery operated piece of equipment. Thanks to modern battery technology, cordless chainsaws have become more popular around the house. The cordless chainsaw is quiet, portable and great for the homeowner who only needs to use it occasionally. However, if you plan on cutting a lot of wood the cordless model is not for you. Cordless models lack power and are limited to cutting small diameter branches. 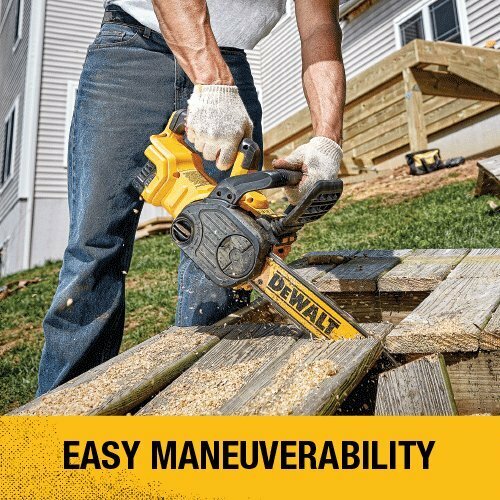 Cordless chainsaws are available in two different battery options. Lithium-ion or Nickel-Cadmium. New Lithium-ion batteries do not have memory and have a slow rate of discharge when not in use. They charge quicker and maintain their power longer than a Nickel-Cadmium. 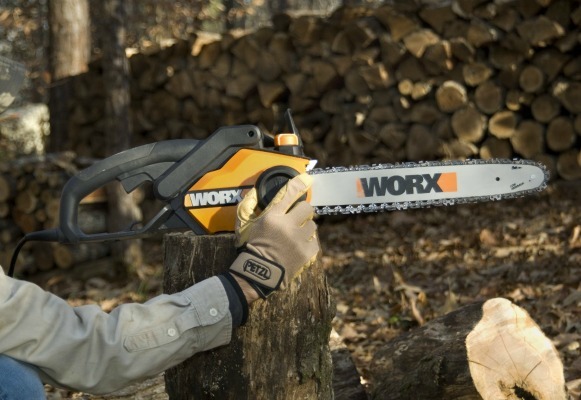 Cordless chainsaws are ideal for pruning the occasional tree or cutting a few small pieces of wood. They are cleaner, quieter and have less vibration than the more aggressive gasoline powered saw. However, if you need to cut a large amount of firewood, this chainsaw type is not for you. The electric powered chainsaws are light, fairly powerful and quieter than a gasoline powered saw. For the occasional use, an electric powered saw could be a good choice. They offer reasonable power without the hassle and maintenance of a gas engine. They don't create strong smelling fumes and require little maintenance. Electric powered saws can also cost less than gasoline powered models. However, some low cost electric saws use plastic internal parts which could effect its long term reliability. The most obvious drawback of this chainsaw type is the fact that it needs to be plugged in. This limits the saws range to the length of your extension cord and nearest electrical outlet. 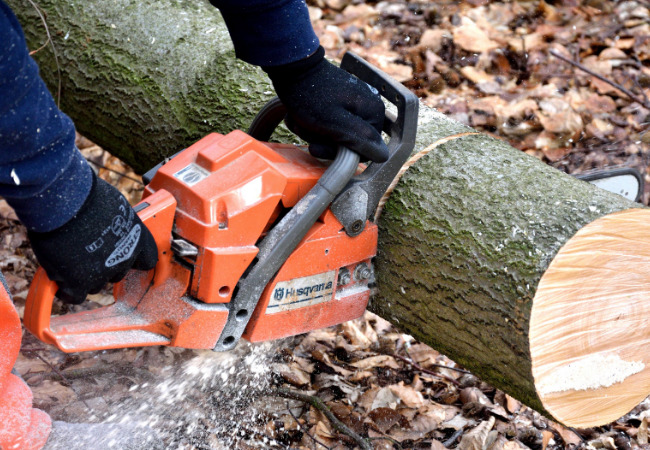 If you need to occasionally cut small to midsize logs near your home, the electric chainsaw will probably work well. If you plan on cutting a large amount of firewood, a gasoline powered chainsaw would be a better choice. The gasoline powered chainsaw is the most popular choice for anyone looking to cut enough firewood to heat their home. They are much more powerful than an electric model and they are portable, allowing them to be taken into the woods. Gas powered saws are heavier, louder and require more maintenance than an electric or battery powered chainsaw. They have two cycle engines that require fuel mixing and can leave your clothing smelling like exhaust after a few minutes of use. Gas saws come in a variety of engine sizes and bar lengths. Bar length is measured from the cutting tip to where the chain enters the housing of the saw. The bar length represents the cutting area of the saw. The most common bar lengths are 14 inch, 16 inch, 18 inch and 20 inch. Gasoline powered saws are manufactured by a variety of different companies. Stihl and Husqvarna are the most well known companies. Which one is better? It depends on who you ask. No matter what chainsaw type you choose, keep the chain sharp. A sharp chain will cut faster and the saw will be safer to use. Dull chains tend to cause the operator to force the saw through the wood instead of allowing the saw to do the work. Forcing a dull chain through firewood can be dangerous! Sharpening a chain can be done by hand using a file or by using an electric chain sharpener. Special guides can be purchased to allow the hand file to be used at the correct angle, resulting in a properly sharpened chain. One benefit to the hand file is that the file can be taken into the woods and the chain can easily be touched up if necessary. The hand file also allows you to sharpen the chain without removing it from the saw, saving time and energy. Even with the use of guides, sharpening a chain with a hand file takes a special touch, one that I have difficulty with! 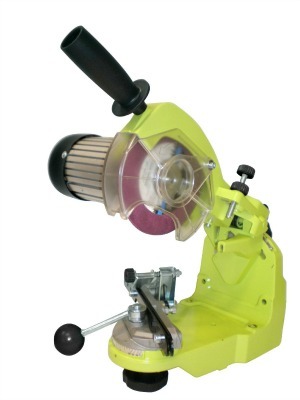 To make things easier you can purchase an electric chain sharpener. Using this method requires removing the chain from the saw and placing it on the sharpener. Adjust the angle of the cut and the depth and you're ready to sharpen. By using this device, the sharpening angle is easy to duplicate and you can sharpen a chain in just a few minutes.